RESULTS OF THE NEIGHBORHOODS COMMISSION WORK PLAN SURVEY BELOW! Responses without a valid email address omitted. Topics submitted by residents are being provided to the Chair of the Neighborhoods Commission for distribution to the full Neighborhoods Commission. 1. Optional Public Safety Topic: Should the Commission prioritize police staffing? 2. Optional Code Enforcement Topic:Should the Commission prioritize Illegal dumping and blight prevention? 3. Optional Transportation Topic:Should the Commission prioritize policies related to ride-hailing services, such as Uber and Lyft? As you can see from my comments; our City, our Health, our very Freedoms are at stake with a National Government hell bent on poisoning us from the sky’s and from our food supply. Monsanto has created the BT Corn product. This corn has in every cell of its make up the BT Pesticide. The bug that eats from this corn has its digestive system explode, killing it. This cellular level BT Pesticide remains with the corn product as it is turned into Corn Sugar, Corn Starch, Corn syrup for American consumption. The animals that produce our meat supply, if non organic, eats this corn. Thus, their meat, their milk (thus cheese), their eggs, their bacon etc. is tainted with the BT Pesticide. Look at any processed food ingredients list. Most will contain some form of the corn byproduct. I can only eat organic. Consuming a non organic BT Pesticide product causes my hemorrhoids to enlarge to gross size until the poison has passed through my body. The US Govt is purposely poisoning the American people by supporting this Monsanto product and allowing it to be ubiquitous in our food supply. San Jose should stand tall and demand that our food supply be made safe and our air not poisoned by chemtrails. I stand with Josh & say enough– Environmental Health topics like addressing the chemspraying with air, water, soil testing and and local government responsibility for the health of its residents should be added to that line up in at least the #3 spot. Thank you, Josh, for your important information. There’s no limit to what Monsanto and other greedy corporations — is that redundant? — will do to increase profits at our expense. We need a grocery store in the old PW market on Almaden Expressway and Via Valiante. We need a focus on public transportation infrastructure, including bike paths and safe bike lanes/routes. This will support public health, decrease traffic problems, including accidents and drunk driving incidents. What are the plans for hillview park? I see your raising money for a private league yet we have a public park that was victim of arson and nothing has been done there. Thats my local park and this community really needs a park for children and families to use. The Nob Hill that closed at Santa Teresa and Bernal has left a void in that community. Need a specialty store like Trader Joes to bring in more customers to the area. I have many social concerns; prisons, public transport, education, healthcare, etc., but the primary where we are failing the worst is homelessness. The failure is caused by the lack of will to solve the problem. No person or domestic animal should be homeless, filthy and hungry. There are empty buildings and vacant spaces in our community that provide solutions. There are resources of money, food, and people who will donate their time to end this disgrace if only we demonstrate the will and demand that it be a priority. People complain about “the projects” and tenements, but they housed people and provided an opportunity to lift up many. I NOW LIVE IN A TIME WHEN OUR GOVERNMENT, WHICH IS THE PEOPLE, DOES NOT PROVIDE A SAFETY NET OF MINIMAL SHELTER, FOOD AND MEDICAL CARE FOR THOSE WHO NEED IT SO DESPERATELY. Keep pressuring our elected officials to end this problem. We have got to get our roads fixed. They are is dire condition and the council has neglected them far too long.. So many people are impacted by illegal fireworks. Two homes were lost this year, and at any time it could be our home! The police have said this is NOT a priority for them. I think we should insist that enforcement of sales (blatantly on craigslist) and possession be a priority for the police and fire departments. I know there are many other concerns. But loss of property, injury, abuse of our pets by terrorizing them, and the trauma our veterans with PTSD experience should not be ignored. You have mentioned the big problem. Police say it’s not a priority. This law has been in the books for over 20 years but no citations have been written for setting off fireworks as of last year according to an answer to the question brought up at a district 5 meeting last year. Imagine that. The law has been in effect for over 20 years but no citations written. That’s the problem. Let’s not use the manpower shortage as an excuse. Their was no manpower shortage 7 years ago but no citations were written. The answer is that police don’t care to enforce this law. Join Councilmember Ash Kalra, Karina Dominguez, Maria Garcia, Kelly Martinez, and Christina Ramos as they raise funds for this San Jose family in need! 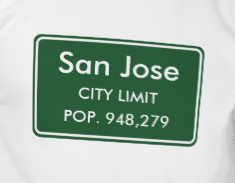 San Jose Neighborhoods Commission priority survey! Automobile speed limits around WilliamC. Overfelt High School should be erected on the streets surrounding this school, especially on Bermuda Way where there isn’t one. Increased traffic speed on this street has steadily raised to unsafe speed limits that may endanger the safety of students who use the street because of its western entrance to the school. I witnessed a driver in his auto rage, unsafely drive on to the sidewalk to avoid waiting for traffic in front of him and continue his route back on to the street, without any concern for pedestrians/students leaving the school one afternoon. My next door neighbor had both of his automobiles hit and run by drivers using unsafe speeds early this year. I have asked for remedy to this situation by emailing our city council member who represents my district, but with no response. Perhaps the best cure for controlling the speed on the street is the erection of street humps which have proven to be effective in other parts of our city and on streets adjacent to schools.